build your own motocross track -easy? well come see. 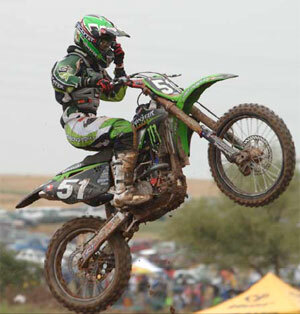 MX Track - how its really done. Want to build your own motocross track ? Well its something of an undertaking to build one like the pro's and if you have a couple of acres to spare. But depending on how big the space you have available anything is possible. You can just cut some grass into a basic circuit and hire a field for a weekend. Or you could build your own motocross jumps. For this it’s best to hire a digger or JCB to put in the soil stacks / ramps and dig out some dips. When marking out your new circuit give a concise clear plan to the contractor or drivers of the machinery – even peg out or use white aerosol paint on the ground – so there’s no excuse for mistakes. 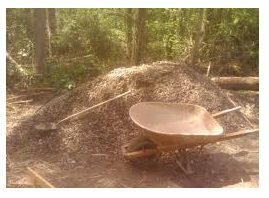 In regards to cost; use the majority of the cut out soil n dirt for the motocross circuit banking and jumps, and limit buying gravel and sand where possible – if it’s your first track of course. Its cool to have some mega-mad jump, but if it turns out to be a real bike breaker, or confidence killer – its been a failure. So begin with a simple track with a few points of interest, and you can improve it later – take tips from your friends. If you can, try and pre-think what you and the people who will be riding your track are capable of, and use that as a template for what you want to include. Remember, ambitious soil jumps, and corners can be easily pulled apart, and re-designed with a diggers bucket, so alterations are easy to do. Now go and build your own motocross track. In addition work on your fitness and training schedule so you can get the most out of your track. 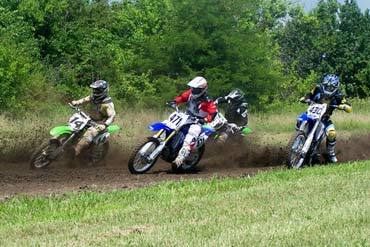 Making motocross track plans – you can do it. Creating your own MX Track - ( Build your own motocross track ). 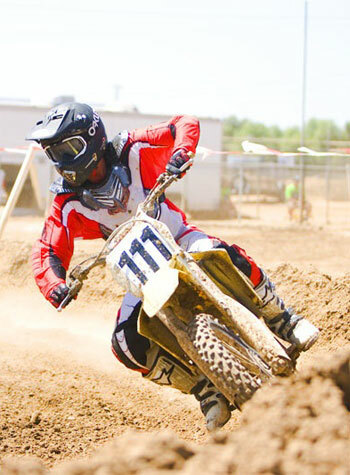 Whether you are looking to build a motocross track, find a track to ride on or just looking to have something more in your area, there are a few things to consider. When you decide to look for a place to ride, or make one, there are a number of things that have to come into play. We'll go into how you can build a track, first and then explore some other options. If you're going to build your own motocross track , odds are you're not looking to set up an AMA series style track and you probably don't have acres and acres of land to work with. You may also have the tricky little problem of getting permission to build, as well. If you're looking to create a space with a few jumps here and there and a couple of berms, though, it's fairly simple to set up if you have the area to work with and the tools to do it. Granted you might not end up with something like a commercial dirtbike / motocross track but you can set something up that will be enjoyable and fun for years to come. Many people start out with things like a step down, a step up and a table top. That's okay. You work on it a bit at a time and home-made tracks are more typically than not, continual works in progress. The biggest issue you need to consider is your neighbors, actually, if you do have a place to build, not so much what you're going to do with it. Who doesn't know someone who took the time to really create an intense place to play only to have neighbors really causing problems due to noise, dust or other issues? So, the first thing you should do is to ensure you have all the proper permits in place or if you are able- find a location away from other people. We all know very well how loud dirt bikes can get and that sound, delightful as it may be to us, isn't for everybody and they will complain and complain loudly. If you can't find a place away from people, try talking to your neighbors about it. See if maybe they are averse to use during certain hours of the day and go from there to find some sort of compromise. Alternatives to drawing up motocross track blueprints. Finding dirt bike Tracks or Tracks Elsewhere. We all know that finding a good track can be hard, particularly if you are new to the area. The best thing you can do is to search around online for those of like mind- they'll know just where to lead you for the best riding experience. Also, online forums are a great way to scout around for tracks because often, those riding on them are more than willing to let you in on all the good things- and the bad that come along with those locations. This is particularly helpful in somewhat underground riding scenes if you're looking to have fun riding but don't want to risk dealing with the drama that can sometimes come of illegal or randomly “evolved” motocross tracks for riding that may or may not be set up for that specific use. Build your own motocross track - ideas for track builds. If you own the field you can then rent the track out to other fans. You might even find a farmer who will let you dig up a field for a weekend’s fun. However you go about it, plan well in advance the track layout, plot it out and get quotes if you need to buy stuff. Buying soil, stone and gravel all of this can be costly, maybe the other guys using the track will chip in and they can ride for free. If you don’t plan; it could be a madness motocross disaster so have a go with a simple track and if you’re a success, build your own motocross track better next year. If you need extra cash for this process, you may want to consider the best way to sell that used bike you no longer have a need for. Build Your Own Motocross Track - extra extra! Like any other change in design or activity related to property, it is important to find out what you can and cannot do in a certain area. Find out if you need permits before changing the land. Check on any Environmental Protection Agency (EPA) requirements for noise pollution or possible city or county requirements. Above all, get permission from the owner of the property; never assume nobody cares if you build your own motocross track with jumps and turns. It could drive homeowner's insurance rates right off the roof. Once you have jumped through all the red-tape hoops, make a plan. Draw out the area you are dealing with and mark an ‘X' for any obstruction, such as a tree or an outbuilding. Create a list of what you would like to have, such as two jumps, a tabletop, a few hills and a tight turn followed by a quick jump. Consider the number of riders who will use the track at one time. Then walk over the area to decide what will fit. List the equipment needed to build the track. Bartering is alive and well - swap your talents for dozer or tractor time. Finalize your track plans and have fun. Thats how you build your own motocross track .